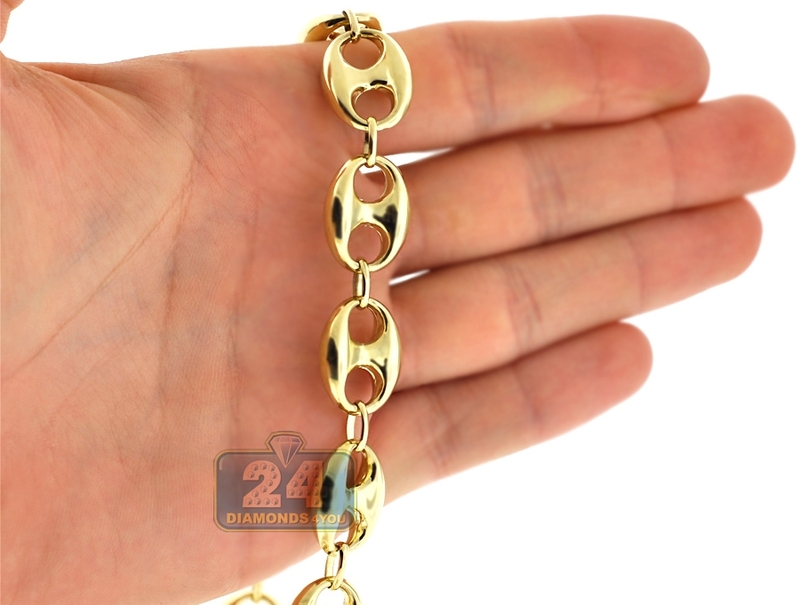 With our puffed anchor link chain, you will get trendy dimension! 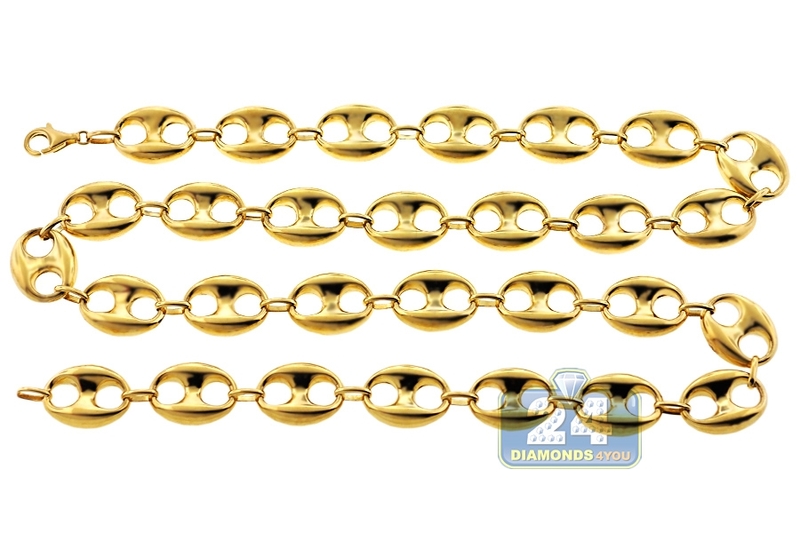 Artfully created from lustrous 10k yellow gold, it is highly polished for brilliantly smooth touch. 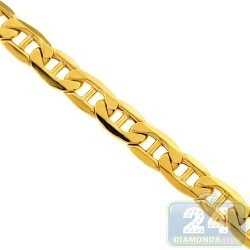 The necklace features 5 mm in thickness, 14.5 mm in width, and available in length of 26, 28 or 32 inches. It also has the safest and comfortable lobster claw closure. Add unique finishing touch to your look wearing this men's mariner necklace!